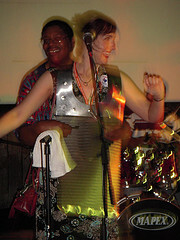 This Blog Needs More Washboard! 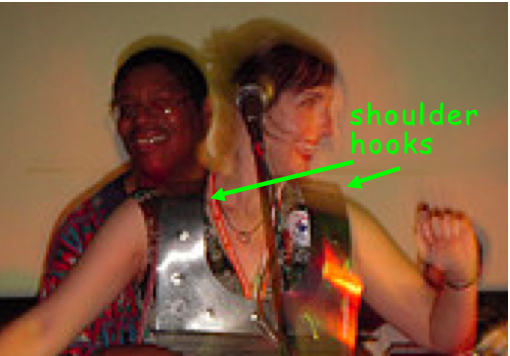 I decided that since I so brazenly hijacked the ax of the washboard player in Chubby Carrier‘s band — his name is Earl Sally, by the way — the least I could do is make an effort to learn a little more about the instrument. The instrument was designed specifically for zydeco music, the product of a collaboration in the mid-1940’s between zydeco musicians (and brothers) Clifton and Cleveland Chenier, and their metalworker friend Willie Landry. Willie’s son Tee Don Landry carries on the family tradition, making rubboards by hand in Lousiana. His website has the rest of the rubboard story, plus videos demonstating rubboard playing! Not as interesting, but the enthusiasm was there! The Smithsonian now has a rubboard in its collection, thanks to Tee Don’s advocacy. Landry, Don. “Key of Z Rubboards Made by Tee Don.” Key of Z Rubboards Made by Tee Don. 25 Jul 2008. Miss Music Nerd’s Zydeco Debut! Now, I must confess that I don’t usually love going to bars; the music tends to be so ear-splittingly LOUD that I can neither fully enjoy it (I’m too worried about what it’s doing to my hearing) nor carry on an intelligible conversation. So I spent the first part of the evening hanging out with friends old and new at a relatively quiet indoor table. But after awhile, the zydeco music that drifted in from the patio worked on me like a siren song, and I had to go check it out. It all started innocently enough. Chubby Carrier and the Bayou Swamp Band was playing the kind of music that you can’t help but dance to, so my friends and I got down to business. I was watching the band at the same time, though, and I was fascinated by the washboard player, and the variety of complex and interesting rhythms he managed to coax out of that simple sheet of corrugated metal. I was so transfixed that when he stepped to the edge of the stage, I assumed he was looking for an audience volunteer to try a few scrapes with his spoons, and I went right up to him. He didn’t hand me the spoons though — instead, he grabbed my hand and led me up onto the stage! I was game. But when we got up there, he still wouldn’t give me the spoons. Instead, he took the washboard off his shoulders and put it on mine! Cool… Now, may I have the spoons, please? I was unclear on the concept. He didn’t want me to play the washboard. 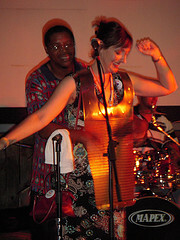 He wanted me to be the washboard! Okay, I was still game. You see, even though I’m more introverted than 90% of the population (really! I took a test! ), being a musician and all, I am also a total ham — under the right circumstances. My friends on the dance floor went wild — and started snapping pictures furiously! It was fun and all, but I wasn’t completely satisfied. After the washboard-ist played a nice long solo on, um, me, I tried one more time to convince him to lend me his spoons. Of course, I can’t blame him for hesitating — after all, he had no way of knowing how many margaritas I had in me (only one — honest! ), let alone whether I had rhythm. But he finally gave in. Once I held the right tools for the job in my hands, I took a moment to feel the music for myself (being an instrument had distracted me a bit), then I let it rip, imitating one of the rhythms he had played as best I could. When the song ended, he told me I sounded pretty good… and my friends were seriously impressed. photos by mik, a.k.a. mr. brillig. Howdy, y’all! MMN is currently in Austin, TX, where, yes, it is hot! 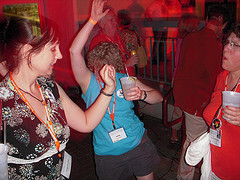 I’m here attending Netroots Nation, a conference for political bloggers. Of course, I’m a music blogger, but I’m politically engaged as well, and there’s lots of cool stuff going on here… not the least of which is the chance to meet in person with friends I talk online with all the time. I’ve also had the chance to invite people I’ve met here to check out this blog, so if you’re here because of that, welcome and thanks for visiting! 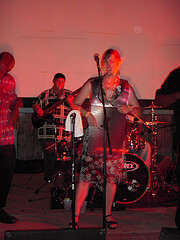 Austin is a legendary place for live music, of course, and I did get a chance to hear a great zydeco band last night. I even got to sit in briefly — would you believe it? I will post photographic evidence very soon — watch for it! “Such a really good version”! 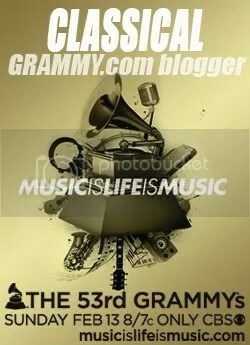 Now, don’t worry if you don’t know what “downtown music scene” means. It’s an umbrella term for a lot of different music and performance art, from Yoko Ono to Bang on a Can. If I had to summarize it in just a few words, I’d say it’s experimental, iconoclastic and embarrassingly easy to parody. 😛 You can learn more than you could possibly want to know from this Wikipedia entry. But that’s not so important here, because the interview features his latest CD, which is a collection of music theater songs. Anyway, the juxtaposition is less surprising when you consider the particular show tunes we’re talking about here. The CD is titled Berlin: Songs Of Love & War, Peace & Exile — High School Musical it ain’t. Think something more like… Cabaret maybe? But darker and more political, with music by composers Hanns Eisler and Kurt Weill and lyrics by Bertolt Brecht. What I was most drawn to, though, was Bleckmann’s performance of the Brecht/Weill song “Surabaya Johnny.” Or, as Terry Gross puts it, “such a really good version of Surabaya Johnny.” 🙂 I used to play this song with a singer friend of mine, so it has a special place in my heart. In its original context, it’s sung by a female character, so hearing it sung by a man is a fascinating experience. But the really wonderful thing about it, as far as I’m concerned, is what Bleckmann accomplishes with the German language. The stereotype is that German is angular and harsh, and that anyone speaking it automatically sounds angry. Bleckmann gives the lie to that with his haunting performance, which alternates between achingly lyrical singing and a hurried, urgent sprechstimme — he makes the language sound positively velvety, like dark chocolate melting in your mouth. You can hear the first half of the song right at the beginning of the Fresh Air interview. Go listen to it, and stay for the rest of the interview while you’re at it!